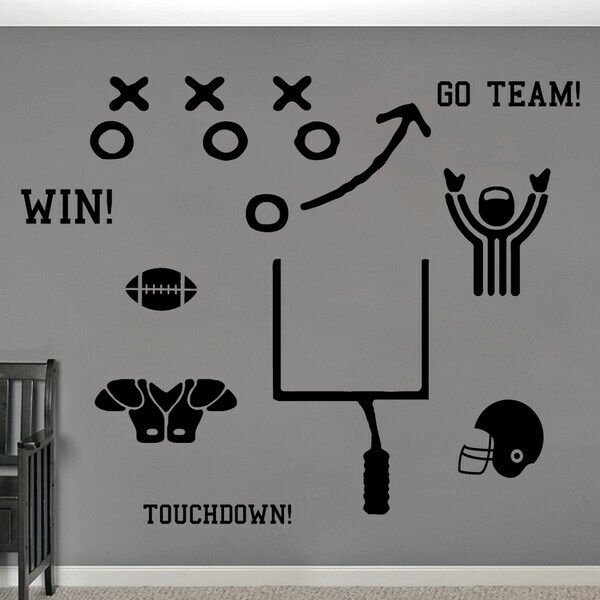 It's all about sports with this Football Wall Decal Set. 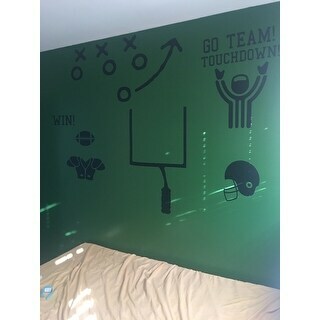 This fun football decal pack is designed to fit into any sports lover's room. This set is great for a kid's room, or even a man cave. You will love this pack, young or old. This wall decal measures tip to tip and can be applied to any smooth surface.